We are lucky enough to have two Veterinary Acupuncturists in our clinic, allowing our patients to access acupuncture therapy as part of their rehabilitation and as a vital element of their animal pain management. This treatment modality has grown in popularity in the Vet industry in the last five years, even though its been around for centuries. This increased acceptance means better health for our dogs and patients. 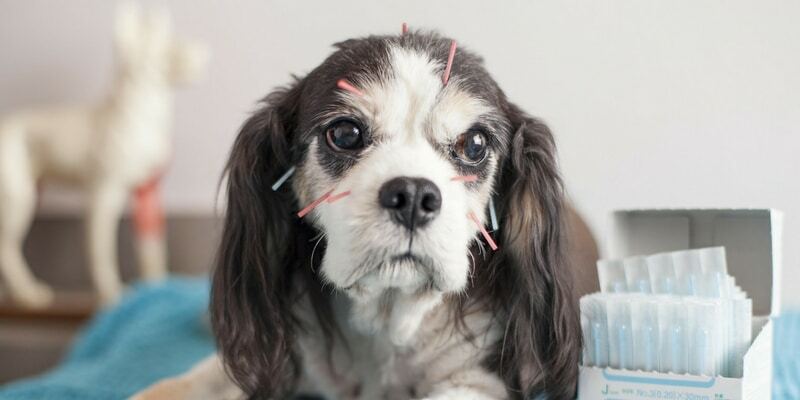 While acupuncture has many benefits and is used for a wide variety of cases in our clinic, one of the most common reasons we refer is for animal pain management. This may be from arthritis in peripheral joints, spinal pain, or any other condition causing discomfort to our patients. Acupuncture is always used in conjunction with Veterinary prescribed medication when needed, and a range of other treatments as part of the physiotherapy plan including ice, heat, massage, myofascial release, and laser. Controlling pain is imperative not only for the dog’s comfort, but to allow muscle strengthening to occur and for increasing joint range of motion. All these therapeutic modalities have additional benefits other than pain relief, but that animal pain management is what I am focusing on here. The need for pain management became acutely apparent when I awoke with a wry neck on Sunday morning. Pain in the left side of my neck, arm, headache, nausea, dizziness. If you’ve never had a wry neck, it is an acute presentation generally on waking, where your neck is very painful to move, appears, stiff and sometimes locked, often tilted to one side. Now I’ve had many of these before and as a physio have treated many people with these utilising heat, ice, joint mobilization, sometimes manipulation, laser, and dry needling. Generally, there is an immediate benefit, but the issue lasts for 5-7 days. A wry neck can make turning your head to look over your shoulder impossible and sleeping can be a nightmare- trying to find comfort to begin, but then moving once you’ve been asleep in a position for any length of time. At home I resorted to NSAIDs (rare for me!) DoTERRA Ice Blue rub, heat, rest (also rare for me) with minor effect. After a night of little sleep I struggled off to work Monday, hoping to work half a day and go find a therapist for some relief. One of my lovely acupuncturists at the clinic saw me struggling. She offered to treat me with acupuncture. I’ve had acupuncture for other conditions before but never for a wry neck. She chose points for pain relief – localized and general, by stimulating the body’s own opioid substances. Points for activation of immune and anti-inflammatory mechanisms- tapping into the body’s ability to heal itself. Then points for acceleration of tissue healing by increasing blood flow to the affected area. Adding in some very important points for reduction of physical and emotional stress. This was quite possibly the cause for me as I do tend to be a bit of a workaholic! After 20 minutes, I felt considerable relief and it kept getting better as the treatment continued. My neck pain, arm pain and headache were almost gone and I had vastly improved neck movement. Not quite magic, but it felt pretty close. I was super impressed.I felt so good I stayed at work at my desk for the remainder of the day (don’t tell her though as she told me to go home and rest). So, what did I learn from my acupuncture experience? It reinforced for me the importance of acupuncture for pain relief (also that I needed to change my work practices!) Not just for ourselves but also for our four-legged best friends. If your dog is in pain or you have pain yourself, I highly recommend seeking out a Vet Acupuncturist for your dog or a Human Acupuncturist for yourself. If you think your dog won't like the needles give it a try. I’m always surprised how well tolerated it is. My own dog Oscar who is usually very scared at the vets actually runs into the acupuncture room and lies down on the bed to start! So many pet owners report how great acupuncture is for animal pain management. I urge you to give it a try. 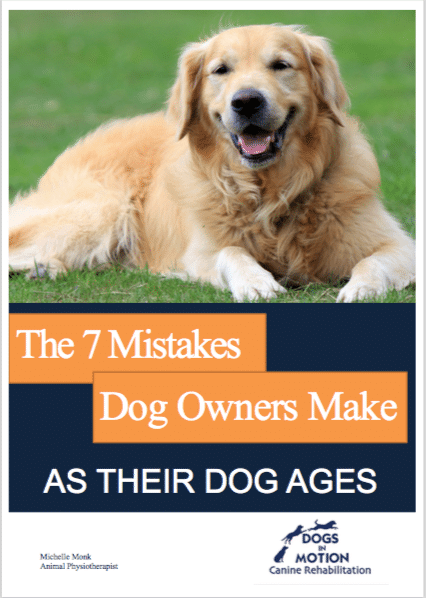 With the right exercise, nutrition and mindset your dog can live a happier, healthier and longer life with you. Find out the right treatment for your dog by booking an assessment with one of our qualified canine physiotherapists at the Dogs in Motion Melbourne clinic or if you can't make it to the clinic we also offer online appointments now too.